"...deliriously unhinged rock n roll that has been flooring Adelaide audiences... It seems counter-intuitive to say a band is "perfecting" a sound so loose and visceral, but by the beard of Zeus theyre really nailing it..." - Walter Marsh RIPitUP St. Morris Sinners formed in late 2011. They soon made a name for themselves around Adelaide as an exciting live band, drawing influence from artists such as: Nick Cave, Jonathan Richman and The Triffids (Just to name a few.) - They have blended a cocktail of musical genres into their own style of dirty alternative rock. Their live shows have attracted crowds not only with their music, but also their raucous energy.St. 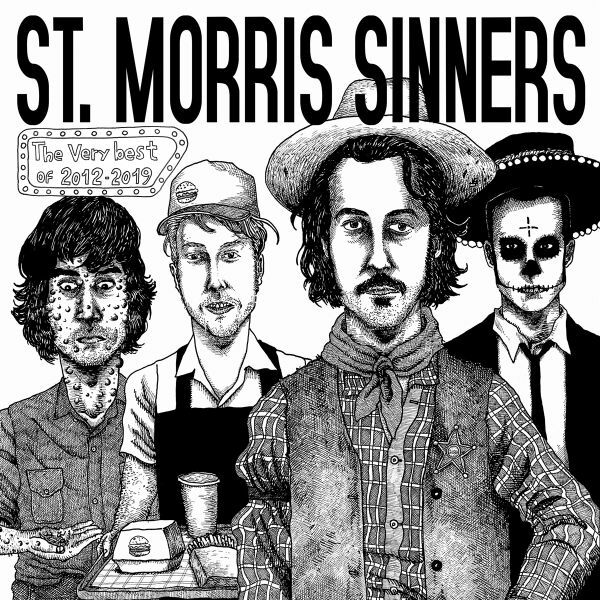 Morris Sinners debut EP (2013) was well received by fans, it gained national airplay through independent radio stations. Since then, they have released 2 albums, For Lease (2014) and Songs About Insects (2016) and have performed with a host of bands including King Khan & BBQ Show (Canada), Kid Congo & the Pink Monkey Birds (USA), The Monkey Wrench (USA), Kim Salmon (Melb), The Ape (Melb), Spencer P Jones (Melb) and The Creases (Brisbane). St. Morris Sinners recently produced a film clip for their song Hats Off To You My Lord, directed by Harrison Gilbertson and was released on Halloween.